In the month of July earthquakes continue to take place and Kuala Lumpur will be able to feel the tremor. Robberies of gold jewelry are rampant. For those who like to wear gold chains, pendants and the like need to be extra careful. Goldsmith shops must be on full alert in July. For those seeking facial beatification they need to be very cautious. The treatment can turn into a disaster and leave a scar on your face. For those whose houses are facing south they need to be careful to avoid armed robbery. For August there will be extremists trying to sabotage the Olympic Games. It is believe that the Chinese government is able to handle it well. To avoid diarrhoea and vomiting, participants need to be careful with their food and drink.In Malaysia mass rallies and major floods will take place. Food poisoning among students will also happen. You can refer essonfengshui.blogspot.com for the original version in Chinese. 1. By showing appreciation for the employees' work. their job performance through regular job training. 3. By creating a conducive working environment for the employees. 4. By being a friend. 5. By being a good listener to the employees’ ideas and concerns. 6. By taking the employers’ suggestions and ideas seriously. 7. By praising them and giving them credit when it is due. 8. By helping the employees plan their career paths and taking an interest in their development. 9. By keeping promises made to the employees. 10. By showing leadership by example. and the reasons behind decisions and policies. 12. By treating employees with respect. 13. By opening up communication channels for the employees. I welcome readers to add more ideas to this list. According to a neurologist, if he can get to a stroke victim within 3 hours he can totally reverse the effects of a stroke. He said the trick was getting a stroke recognized, diagnosed, and then getting the patient medically cared for within 3 hours, which is tough. 3. Ask him or her to RAISE BOTH ARMS. 4: Ask the person to 'stick' out his tongue. If the tongue is 'crooked', if it goes to one side or the other, that is also an indication of a stroke. If he or she has trouble with ANY ONE of these tasks, seek medical help immediately. Once upon a time there was a king who lived in a kingdom far far away. He governed the kingdom well and the people loved him. However, the king was very sad because he did not have children of his own. One day he decided to adopt a son by selecting one child among his subjects to be groomed as his successor. So the king gave seeds to all the children in his kingdom and asked them to grow flowers. The child with the most beautiful flowers would be his adopted son. So the children took care of their seeds by watering and fertilizing them. They all hoped to be the king’s adopted son. There was a child by the name of Hau Hau who was also busy looking after his seed. Sadly, nothing seemed to grow, not even the bud. He was very upset because the deadline had approached to send the flowers to the king. On the big day, all the children dressed in their best and went to see the king with their beautiful flowers. However, the king wasn’t happy at all. Suddenly he noticed Hau Hau standing among the children. He was listless with tears in his eyes. The king asked him, “Why are you carrying an empty flower pot?” Hau Hau explained that he tried very hard but nothing seemed to grow. Perhaps it was his punishment because he had stolen a bunch of grapes from someone‘s garden. Then he king laughed heartily and said loudly,” My boy, you are the child I am looking for!” “Why is it so?’ They all asked the king. The king replied,” I have cooked the seeds so you can’t grow anything out of them.” All the children with flowers in their pots looked down. They had used other seeds instead. The moral of the story is that honesty is the best policy. It is one of the virtues of a good worker as mentioned in my article Characteristics of a Good Worker posted on May 6, 2008. 1. You have a healthy self-esteem and you are confident about your abilities. 2. A positive mental attitude towards problems. Welcome problems to sharpen your problem-solving skills. 3. A keen interest in helping others to solve their problems. doing the accounting job by the end of the month. I did not say anything and I just hung up. The next day I went to see him. I sat down in front of him and I asked him," What do you want to tell me?” From there he started to talk about his concerns and I explained clearly to him to relieve his worries. And finally I asked him” Do you think there is anymore problems?" He told me an affirmative no. I still keep the job. Had I approached him on the same day, things would be different. He wasn’t in a good mood and he was not composed to talk. Of course by the next day he was calm and more collected and was able to speak his mind clearly. • Lat Pull Down: one set of 30 repetitions. He tries to run 4 days a week to stay lean and he does his resistance workout twice weekly. As for me I run about 2 to 3 times a week and the distance is much short than 3 miles. It is enough to make me sweat all over. I have a gym set at home and I can do 20 different workouts of 10 repetitions each in about 30 minutes and I do it once a week. In addition, every morning before I perform Tai Chi I do some stretching to maintain my suppleness. Remind Yourself that When You die, Your "In Basket” Won’t Be empty. Life Is a Test. It Is Only a Test. Repeat to Yourself,” Life Isn’t an Emergency”. There is no need to be in a rush to complete your work, because work can never be finished. When I wake up early I have more time to myself to do what I need to do without being disturbed in the morning. Put a pot of plant in the office to be in harmony with nature. Take s short break and you will work better. When you have to do it, do it now. Do not take life seriously; live a balanced life, beside work you need to look after your family and friends and have fun. Read this book to reduce your stress in the office and improve your personal life. English - With or without an "S"
A quarter of his salary is spent on entertainment. Living quarters are provided for the workers near the factory. The national day procession was a magnificent spectacle. I can’t see anything without my spectacles. His arm was injured in a car accident. Some countries are spending more money on buying arms than on education. You use a piece of cloth to wipe the table. When you grow older you don’t war fancy clothes any more. Don’t’ go anywhere stay beside me. Besides poverty the people have to endure natural disasters. I’ll see you sometime next week. I normally stay at home on Sunday but sometimes I do go out and visit my friends. Don’t litter the place with your cigarette ash. His ashes were scattered at sea. After leaving the customs she took a taxi to the hotel. The girls like him, he has good looks. Please wait a minute for me. Can you give me an account of the incident? According to feng shui masters plants bring positive chi flow to your house. Green plants also act as a filtering system, reducing toxins and circulating stagnant air. I keep a bowl of 观音竹 （guan yin zhu ）in the office (top picture) to stimulate creativity and encourage luck. The plant is very easy to take care of. I only need to change water once a week. It does not need sunshine and it is thriving. So far things are going on fine in the office. Touch wood. This plant is called 莲花竹 Lian hua zhu (the next picture). It is at the corner of my car porch. Again not much sunshine is required. When you come to my house you will be greeted by this plant (the next picture) at the door. It is called 发财树fat cai shu. You have to be careful with this plant. It does not need a lot of sunshine. The plant will not grow if you put it outside the house. The car porch is an ideal spot for the plant. A little sunshine and plenty of fresh air and with regular watering the plant will grow. This plant (spathiphyllum) by the name of 万年青 wang nian Qing (the last picture) is at the wealth corner of our living room. It is diagonally opposite the entrance to my house. Again, it does not require much sunlight but you have to clean the dust that gathers on its leaves at regular interval. I buy Toto regularly but I don’t have any luck (heng cai横财). However, when I provide useful services I get the money (zheng cai正财). When you are serious about stamp collecting you collect stamps of a particular country. You become a specialized collector. However, there is a popular way of collecting stamps, that is, to collect stamps of the same theme. When I was interested in stamp collecting I somehow had a fond liking for stamps with a sports theme. Stamps issued to commemorate Olympic Games were my favourite. Most of the pages in my albums were stamps about Olympic Games. You can take a look at the picture. These stamps were issued by the Hungary Postal Department to commemorate the 1956 Olympic Games held at Melbourne, Australia. Thematic collecting can be anything from animals to zoo, from music to musical instruments, from fruit to fish, from butterflies to plants. Just collect those stamps with the theme that interests you. You can then build up a large collection of stamps on, say, flowers. You will also build up vest knowledge of flowers including their scientific names. It's fun. It's educational and it's a great hobby. June 15, 2008 was father’s day and the above poem is written by my daughter for me on this special day. She is in primary five. It means: Papa, You are like a bee. You are busy earning money for the family. You are marvellous. You are like a tree, big and strong, you shelter us from the rain and wind. You are like a robot. Though you are busy you still manage to allocate time to play and to go shopping with us. You are great. I am touched. This is the best gift I have ever had. The Beatles became world famous in the 60’s when I was in secondary school. I listened to their songs every day over the radio. The fact was that when a new song was released it shot up to number 1 spot instantly so their songs were always on the air. One thing about their songs is that you can listen clearly to each and every word that they sung. British people are famous for their clarity in pronunciation. It is also one of the ways I learnt to speak and write effective English using simple words by listening to their songs. I still keep a copy of their LP by the title of “Help”. One of the tracks “Yesterday” is my favourate. The other favourates of mine are “Hey Jude”, “A Hard Day’s Night”, “I Want to Hold Your Hand” and many more. According to the Recording Industry Association of America, The Beatles have sold more albums in the United States than any other bands. In 2004, Rolling Stone magazine ranked The Beatles No. 1 on its list of 100 greatest Rock & Roll Artists of All Time. According to that same magazine, The Beatles’ innovative music and cultural impact helped define the 60’s, and their influence on pop culture is still evident today. According to the directions on the label Vicks VapoRub is used for temporary symptomatic relief from clogged nose and coughs due to colds and minor arches and pains. For relief, massage Vicks VapoRub on throat, chest and back. I have a bottle ready in my bed room just in case the need arises. Like Jacky Chan and Jet Lee, Bruce Lee is my favourate actor too. 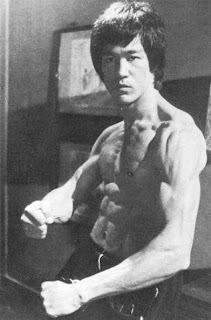 Before he became rich and famous he wrote down his goals,” I, Bruce Lee, will be the highest paid oriental superstar in Hollywood. To reach my goals, I'll pay a price for it. I’ll bring the most exciting gongfu acts to the audience. I do the best I can to be a quality actor. From the 70’s I will be famous internationally and from the 70’s to the end of the 80’s I’ll accumulate a fortune of 10 million. After that I’ll live a life I like and I’ll be happy and I’ll find harmony inside my heart.” He then posted the letter to himself. What were his “SMART” goals? According to research, when you have goals in life and you also write them down, your career, your living standard and your fortune will be way above those who don’t. Perhaps Bruce Lee paid too high a price for his success. I have just installed Web CEO for my blog. I understand that the software is able to help me build targeted web site traffic, provide useful reports and keep my site trouble-free. However, the only thing and the most important thing is that the software cannot help me to improve my content and content is the No.1 thing that matters for a blog. How to generate ideas for your blog, that’s the big question. The Chinese language has a better expression for it. It is called "ling gan” (灵感). It means a sudden occurrence of creative ideas. This is my experience. When I can’t think of anything to write for the whole day I will, in the evening, keep repeating to my mind that I need ideas. I bombard my mind so as to speak. Then I go to sleep like a log and forget about the whole thing. In the morning before I could open my eyes I already have ideas in my mind. You should try it. It works. I have an added advantage because I have access to materials in Chinese and it gives me more ideas to write articles. In my heart I am always thankful that my dad had sent me to a Chinese school. Now that the petrol cost has gone up to RM2.70 from RM1.92 per litre, you should acquire the Cimb-petronas Mastercard. It gives you instant rebates of 2% in your statement for all your petrol charges at Petronas stations. This will allow you to stretch your ringgit further. The other thing is that Petronas stations are quite easy to locate in Malaysia. In addition, you also get cash rebates for 0.5% for other purchases. It is better than accumulating points to redeem for something you don’t need or getting your points forfeited after a while. Again this card is also free for life. credit card statement promptly and fully every month. So use your cards to reduce expenses and not to incur interest. My father enrolled me in a Chinese school for my primary education when I was very young. However, when I moved up to my secondary education it was all in English except for one language subject in Chinese and another one in Malay. From Geography to History and from Literature to Mathematics they were all in English. My daily companion was my English-Chinese dictionary. I had a hard time but it was worth it. To master the language, I read English newspapers, I read comics and I listened to pop songs. It was in the 60’s and The Beatles, Cliff Richard and Elvis were my favourites. To me, English is very important. When stamp collecting was my hobby I had to read stamp-related materials in English. When I started working in the hotel industry English was the vital communication link and most hotel managers then were foreigners. Now that I have started blogging, all the sites that I visited are in English and my bog is in English simply because it is a widely accepted international language. My blog is new. There is not much traffic, but I have visitors from USA, Canada, Australia, UK, Middle East and even Africa and China. Of the 7 habits, habit 3 and habit 7 impacted me the most. It tells me that I have to set my long ranch goals and from there my yearly goals, my monthly goals and my daily to-do list are guided by my long ranch goals. Every day, I have a lot of things to do. I always ask myself what is the most important thing I must do today. It is always guided by my ultimate goals. I will then go ahead and do it because I know it will benefit me the most in terms of my vision. It means I need to take care of my health (physically, mentally spiritually), my career, my money, my relationship with my family, my co-workers and the community. It also means lifelong learning. In short I must live a balanced life. As I have signed up with Nuffnang to allow them to place their ads on my blog I am able to see my blog’s performance through their reports. I find their reports provide very useful information. They are easy to understand and user-friendly. Analytics: I can see the number of visitors for the four periods in the form of a bar chart. I find the report for “Today” very interesting. It gives me the number of visitors by the hour. I have noticed that there are more visitors at 3.00 PM. It means that I have loyal readers who are looking forward to read my post at 3.00 PM (12.00AM US time) because I do my posting daily and I schedule it at 12.00 AM US time. If you are serious in blogging posting daily is very important. Came From: This report is also in the form of a bar chart. It tells me the numbers of visitors from each country and their percentage in relation to total visitors. Most of my visitors are from Malaysia. I need to write articles of general interest to all rather than local topics in order to attract more readers overseas. Keywords: This is very important for article writing. From the keywords I know the topics that the readers are interested, I can see that health related topics attract the most visitors. This is also a guide for me to write articles which are appealing to my readers. · Search Engines: The readers know my site and they go to one of the search engines like Google to locate me. · Keyword Search: Some visitor is looking for certain information and one of my articles matches their keywords and they are able to get to my site. · I have visitors from blog directories and social networking sites like mybloglog.com, technorati.com and bloggingfusion.com. · Back links: I understand back links are very important for my page ranking and I am glad that I have visitors coming from my back link. At the moment my page rank is only 1 (a scale of 0 to 10 and 10 being the best). I hope to improve my ranking soon. Community: This is unique to Nuffnang. It tells me Nuffangers who recently read my blog. It takes only a few minutes to find out the performance of my blog. It tells me that I have a long way to go. I’ll leave no stones unturned to improve. * Drinking plenty of water: Drink at least 8 eight glasses of water a day to keep your body hydrated. Drinking enough water is necessary to maintain elasticity and suppleness of the skin. * Watch your diet: Avoid oily food. Instead eat more fresh vegetables and fruits which contain vitamins and anti-oxidants. These are not only good for the skin but delay skin damage.You should also avoid sodas, alcohol and caffeine as they dehydrate the skin. * Exercise: When you exercise you allow your body to sweat naturally to clear you pores. Furthermore, the oxygen level in your skin tissues will also increase, thus rejuvenating the skin. Lack of exercise will make our skin lose its tone. * Sufficient sleep: Enough sleep will allow the body to rejuvenate and lack of sleep will cause dark circles under the eyes and winkles on the skin. I am glad that I have been following that guidelines or rather these are my healthy habits.I think these tips do help to slow down aging. The other habit is that every morning I cleanse my face with warm water using Olay’s Moisture-Balancing Foaming Face Wash and then I wash my face again with cold water. I repeat the same ritual before I go to bed. My face was itchy at night when I used the previous brand. With Olay I feel fresh and comfortable. Life is interesting because technology is advancing at a very fast pace. For example, internet and blogging are things that we have not heard of before. To keep up with the changing world we have to keep ourselves up-to-date by continuous learning. Embrace those that are useful to us and discard those that are not. We have to open our eyes and be responsive to those things that are happening around us. When we are interested in new things, we are enthusiastic and life becomes interesting. When I started blogging in October 2007, I was totally ignorant of it. I have been learning and I am still learning. The things to learn are really overwhelming for me. I have learnt from John Chow about the "Seven Habits of Highly Successful Bloggers". I am happy that I started off with the right habit by posting an article daily. He has also given me some money making ideas. I signed up with Kontera after reading his article. Joel Comm has also provided me with a wealth of information about AdSense. Getting to know Google is like taking a course in blogging and more. According to a report in the newspaper it is mentioned that many companies in Europe allow employees the free use of the gym. The idea is to promote health and fitness among the workers. It is also a good way to reduce sick leave and boost productivity. Another benefit is that it helps to neutralize pressure at work. In the same report it is also highlighted that working at Google is like having fun and it is the ideal working place where many people are looking forward to be employed. As for me, I am happy at my present place of work. There are no special benefits like those depicted in the newspaper. However, I find peace of mind working there. My boss doesn’t disturb me except for giving me instruction to carry out certain tasks. Otherwise I am left alone to do what I am supposed to do. I have my own lunch hour but I always go back to the office in less than an hour. I also take the liberty to enjoy a short tea break in the afternoon at around three for about ten to fifteen minutes. A conducive working environment is more than good enough to beat those extra perks. There is improvement but the traffic level is very low. There are many things I have to do and I can only do so much. I will go forward a step at a time. Every Sunday I do a very quick check of my vehicle. First I check the tyre pressure and I pump the tyres up to the recommended level. Next I open the bonnet to check the fluid level in the windscreen washer fluid container and the coolant reserve tank to make sure they are between the ‘Low’ and 'Full' level. Next, I check the belts to make sure that they are not loose. I also check the engine oil level to ensure that is not below the minimum level. Once a week I wash the car and I only use buckets of water and nothing else. If necessary, I use a product called Jetsen (cleans, polishes, shines and seals) to remove stubborn stain. I also remove the floor mats to give them a good shake. When I go for long distance travel I check all the lights and replace those that are fused. I remove the grease and oil from the windshield using a product called “rain.x”. The chemical also improves wet weather visibility even without using the wipers. Lastly I vacuum the interior to make it spick and span.